Based in County Donegal, Ireland, Ailbi­ona McLochlainn is a handknit designer, artist, and recovering academic. She learned to knit at the age of 4 in the improvisational folk tradition and was oblivious to the world of written patterns – until 30 years later she was invited to teach a workshop and to design a hat pattern to go along with it. “What is a pattern?” she asked. And so it began. 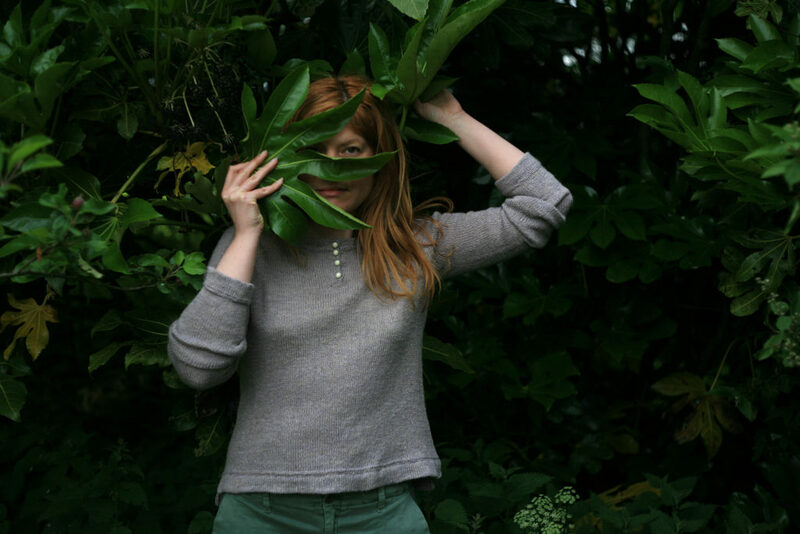 Ailbíona is one of the Irish designers that we are thrilled to be showcasing through the 2019 Woollinn Make-a-Long, alongside Aoibhe Ní and the yarns of Studio Donegal and Townhouse Yarns. Specialising in seamless construction, Ailbíona’s main focus is on garment designs which incorporate lace, cables, or colourwork, for an aesthetic that draws upon folk references while embracing contemporary sensibilities. Lightweight, versatile, and straightforward in its construction, Inse is a classic circular yoke pullover that is suitable for a variety of skill levels and ideal for four-season wear. At the base of the Inishowen Peninsula lies a magical place. A saltwater marshland, this modest looking network of meadows supports a thriving ecosystem of local plant and birdlife. hardy, exuberant and simple. The lacework at the yoke evokes marshy wildflowers and brambles, with hints of the same motif accenting the cuffs and the split hem. 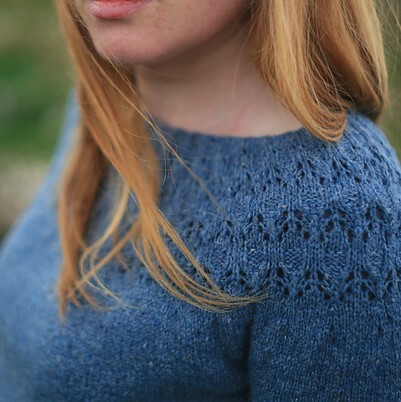 Don’t forget that you can nab a 20% discount on the pattern by using the code “Woollinn2019” on Ravelry.com and two delectable yarns are on offer at This is Knit, using the same discount code. We will be following along and re-sharing your posts over the coming weeks, so be sure to tag them with #woollinnMAL when you can!